One way to tell whether buying a home right now is a good time or not is seeing what the stock market is doing. The stock market reflects earnings expectations 6 – 24 months in advance. You can investigate further and look at sectors in which your location has large exposure e.g. tech in San Francisco, oil in Houston, and banks in New York City. Stocks correct swiftly, while real estate corrects slowly until everybody knows real estate is weakening. Then liquidity dries up and the floor drops out. If the stock market is correcting, it’s time to pay closer attention to any investment you make, especially with leverage. What we do know about the real estate market is that it moves in cycles due to the desire for economic profits i.e. new construction to meet new demand. Peak new construction tends to occur past peak demand, which ultimately leads to temporary oversupply and lower prices. This bust phase usually lasts between 1-3 years before a price floor is found. We are clearly in the hypersupply/boom phase of the cycle now. What’s also important to recognize is that every real estate market is at a slightly different phase of its housing cycle. 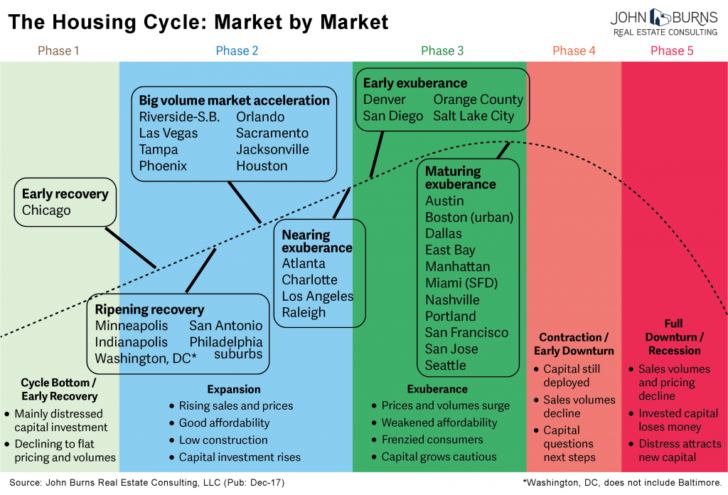 Here’s a nice chart by John Burns Real Estate Consulting which names cities in each phase of the housing cycle. Given I had three properties in San Francisco with $2,000,000 worth of leverage in 2017, I found it prudent to sell one property and reduce leverage by $815,000 since I feel San Francisco is in the “Maturing Exuberance” stage. Institutional investors have all but pulled out of the California housing market, leaving retail investors fighting for scraps. I’m sure I sold early, but life is so much simpler now. Real estate investors can look at the chart above and rationally make an argument that it would be wise to shift exposure from late phase markets to early phase markets to earn more money and protect against downside risk. If you believe in such logic, then you should believe in my thesis of investing in the heartland through real estate crowdfunding. Let’s say that despite all the signs that the real estate market is at risk of rolling over, you go ahead and buy property with leverage at the top of the cycle. What happens to your mind and to your money? I’ve got first hand experience since I bought my Lake Tahoe vacation property only one year after the peak. 1) You go in denial at first. You will always stand behind your decision to buy at the very beginning. Even if you see a neighboring home on the market sit for longer or drop their asking price, you will justify your purchase by saying your home has a better layout or nicer amenities. You will tell yourself that you bought your home for a better lifestyle first and foremost. After about a year, the elation of owning your home fades a little bit. It’s similar to the fading elation of buying a new car with a loan. You are thrilled for the first six months, but that thrill dies down while the car payments stay the same. You’ll go online to see the valuation of imperfect comparable home sales to justify your purchase. 2) You begin to accept your mistake. Between 12 – 24 months, you start realizing that maybe you didn’t make the best purchase after all and start telling yourself, “In the long run, things will be fine,” in order to feel better. But the more you look at homes that sell for less, the more you beat yourself up about your purchase. 3) You start to think worst case scenarios. Due to leverage, a 10% decline in the value of your home is a 50% decline in your 20% downpayment. Just as the stock market can correct 10% in a month, the real estate market can easily correct 10% in a year. Once the momentum to sell begins in real estate, it starts getting scary, especially if you own a condo in a large building. During a worst case scenario, you start calculating how long you can keep the house before you run out of savings if you lose your job. You also calculate how low the house can go before it no longer makes sense to keep paying the mortgage. During the worst stage of a correction, you may really begin to freak out because you will know friends who have been laid off. You start wondering when you’ll be next. 4) You start to cut out all excess fat from your budget. The great thing about being rational is that during difficult times, all extraneous expenses get slashed and savings rates go up. You might even try and get a second job or work a side hustle if you really start getting worried. Fear of financial ruin in 2009 is what got me to start Financial Samurai. I needed a cathartic outlet to release my fear. I needed something to do just in case I was one of the thousands of people who got fired from the finance industry that year. During the financial crisis, I didn’t buy anything. I also hustled harder to build relationships with clients who were my only leverage to keeping my job. Instead of buying groceries, I took as many clients out for lunch and dinner to not only build better relationships, but save on food! Yes, I took leftovers home to feed my wife as well. My clients were also worried about losing their jobs and also wanted to save money. When you go through a crisis with someone and survive, your relationship thrives in good times. 5) You either stick with the game plan, or stick it to the bank. If things get really bad where you’re underwater on your home, you will need to make the crucial decision of either staying current on your mortgage or stop making payments. First, you must realize which states are non-recourse states so they don’t come after your other assets after you welch. By short-selling or foreclosing on your home, not only do you ruin your credit and dignity, you also hurt your neighbors who decided to keep paying. But in America, it’s often every man and woman for himself. You can foreclose on your home like one financial pro did in 2011. He subsequently got hired by The New York Times to write about money advice and even wrote a book about how to improve your finances! This example is one of the reasons why I’m so bullish on America. It doesn’t matter what mistakes you’ve made or who you are, you can always come back. If you decide to keep paying your mortgage, then life goes on usually as planned. After all, real estate markets tend to recover over time, and few people go into buying the most expensive thing in their lifetimes without a long-term holding plan. You’re just annoyed that you paid full price for something when it went on sale just a couple months later past the return policy. A foreclosure will be on your record for 7 years on average, plus 180 days from the last time the account was paid as agreed. Your credit score will gradually improve over these seven years, but not fully until the foreclosure is off your record. Those who’ve been through foreclosure and want to do conventional financing in the future will have to pay a higher interest rate (approximately 1 and a half to 2%) unless they put a sizable downpayment on their new property (more than 20% down). I bought my Lake Tahoe condo after a 12% correction in 2007. At the time, I thought it was nice to save $100,000 from the original purchase price. Little did I realize the value of my condo would plummet by an additional ~30% since so many of my neighbors decided to foreclose. I felt like a real dummy buying the condo two years later. I started thinking how nice it would be to have an extra $150,000 in cash sitting in the bank. I felt so bad about my decision that I decided to become super frugal for the next five years, work extra hours in order to get promoted and paid, and start Financial Samurai as a potential way out. More than 11 years later, I’m at peace with my decision to buy a third property as a delusional 29 year old who thought he couldn’t lose. Valuations have rebounded from the depths of despair, the mortgage balance is 40% lower, and the value of the condo has shrunk to a small portion of my net worth. There is also satisfaction that I didn’t welch on my debt. Now, I cannot wait to take my little boy up to play in the snow. I cannot wait to show him how to jump in the lake off one of the public piers. I cannot wait to make roast marshmallows on an open fire after a rewarding hike. I cannot wait to tell him fun stories under the stars. When his mother and I pass, I hope he has his own family to take up to the mountains one day. Maybe he’ll even have a picture of his parents on the mantle smiling and watching over him. 1) do you expect that such places like Austin can be immune from the drop in RE prices? Org I should also just be patient? (to be honest, scientists do not get much money). 3) Any websites where I can just dig for the useful graphs? Or data (I’m aiming now to learn data science, so it would be a nice practice to plot the data). Nowhere will be immune, but Austin should fair better than most! I have read the article you linked, pretty interesting stat and ideas confirming my fears :) But if nowhere is immune that means a unique situation: I should not lose by waiting (a year or two) and my peers who own houses in Austin already should not lose by NOT selling. Right? My only remark would be that actually the fastest growing cities are blue, not red. They are in all states, red states also. TX is a good example. Austin IS a sanctuary city, for example. Funny, before Austin I lived right near West Palm Beach (another blue city in a red state). What may a plateauing renting curve tell us? People here told me that prices were just plateau during the last crash (2008). I still hope for at least 10% correction, and for whatever reason my guess is that when everybody is denying this possibility the probability of this black swan goes up… You know, it’s like when I started getting crypto-spam in email, I felt it is the beginning of the end. (Now it may be a good idea to start average down in crypto though. But I’m not into that). We bought a house in San Diego CA in May 2017 . We tried multiple times to get in the market years before but were always out bidded. Finally my husband hit over $100,000 at work and we decided to buy. I’m not sure if we should of waited to see how much prices would drop but rates are going up. I’m very stressed over the whole thing and being a first time buyer is just the worst. Do you think will lose a huge amount of value in our home when it crashes and how much. Did we make the right move? Nicole, it’s too late now to back track. Best is to just ensure y’all both have jobs and continue saving aggressively. Prices have softened since 2017, especially after the rate hikes and the 4Q2018 market crash. Enjoy the house and all the great memories it’ll bring. Over a 10 year period, you’ll probably be fine. I’m curious, given how the stock market has been behaving, am I right assume we are the start of the Phase 4? Found a lovely house that’s a bit overprice for the area (but boasts also lot of space, so not so eat to comp) but it’s a bit of stretch for the payment. That plus upcoming uncertainty makes me weary. The housing market is rolling over, and the 10% correction in the S&P 500 is signaling a drastic slowdown in profits in 2019. We’re talking 8%-10% growth from 20% growth. But even those estimates may be slashed. Thanks for the quick reply, Samurai. We are in the bay area too, btw. :) The house found is in Maxwell for context. Or do you mean to carry on with and wait to see what happens before making alterations to plans? We are looking at coastal properties in San Diego. Our real estate agent, lender, everyone has advised us that houses here are in such high demand that even a “correction” just means that houses will APPRECIATE at just a slightly slower level. I am still worried about buying at the top of our budget–900k in Point Loma, Ocean Beach, or Pacific Beach. Thoughts? Don’t listen to them. It’s always a good time to buy or sell property if you are a real estate agent. Sam, We are looking to sell our home because it’s too small right now but we like the neighborhood and want to stay for our children’s schools (5&8). We thought about a remodel but the cost of construction is outrageous. The problem is it’s too pricey wherever you look in Portland Oregon. What if we sold and rented for a bit? Is that better? We have no mortgage and own home outright. I am currently renting near downtown san jose. I work from home and my wife works about 4 miles from away for big name tech firm. We are paying 2.6k in rent (water/garbage included) which is pretty good for the area. Condo is nice about 1300 sqft 2bed 2 bath. Property management company just notified that the owner is planing to sell the condo. Its not listed yet but I am assuming in next few months we may have to leave. Given the scenario and the current market does it makes sense to take the plunge and buy house now. Going from the past sales condo units in my building has gone for as much as 830k for 2 bed with about 400$ in HOA. I was looking to buy townhome with reasonable HOA (around 200$) in 800k-950k which unfortunately still seem to be difficult to find but seem to be coming up cos of some recent price cuts in listing. Monthly mortgage payments, property tax,HOA, insurance and utilities will come to be around 5.5k after 20% down which will be about 3 to 3.5k if i rent something similar. I might get about 500-600$ per month back (6-7k per annum in taxes) cos of itemized deductions on mortgage and 10K SALT. I dont see us being able to do itemized if we keep on renting. so essentially the total expense in terms of monthly payments will be about 1.5k per month extra after adjusting for tax deductions if we own instead of renting. I got excellent credit history with score of approx 800. Speaking to lender I may be able to get the 7/1 arm at about 3.62% interest rate. I wish real estate wasn’t such a roll of the dice. We’re talking about sums of money that could easily be 80% of a family’s wealth – who really wants to put that on the line. I would gladly give up any chance of appreciation if the downside risk were similarly eliminated, ie security and stability. Given the stock market and real estate gains over the past several years, I’m starting to wonder if we are just entering an unprecedented inflationary period. Or maybe that’s what people say during a peak/bubble to justify jumping in…would love to get your opinion, Sam. Thanks for all the great articles. Bought our former house at the peak in Dallas in 2006 with 95% financing. We held on while prices dropped in 2007-10 and were upside-down on the mortgage for at least a couple of years. We stayed put and in 2013 sold the house for 40% more than we paid for it. So, just because you buy at the peak does not spell disaster, although it sure felt like it at the time! Nice job holding on! What do you think would be the gain if you sold in 2017 or 2018? What did you do with the proceeds? I’m a single lady, early 30’s, debt free & have 20% cash saved for a condo or townhouse in Dallas. However, the ironies of life are that Dallas is at Maturing Exuberance stage… Do I rent for another 2 years and throw away $50k on rent? Looking to only buy a $250k place. View it as a long term investment property? Do you plan to live / own the place for 10 years? If so, I would. Just run the numbers and have a nice cash buffer before you do. The thing is, I suspect coastal city real estate money will continue to be pumped into the Dallas and surrounding areas. So for you guys, prices seem expensive. But from our perspective, it’s good value. Real estate crowdfunding and technology has made investing around the country easy. I am a first time home buyer in Charlotte, NC, and I am terrified to buy in this market. I have been looking at properties for years, but have never had the nerve to purchase. I have rented here for ten years. I am hoping for some advice about a condo that was last purchased for 70,000 and the owner would like to sell for 145,000. All of the condos in the area are selling like this in a matter of days. I am hoping to have a very low mortgage payment, but do not know whether I should purchase now, or wait to buy towards the end of the year, or maybe even next year. Thank you for your wonderful information and for sharing your personal experience. I find it very helpful. Easiest way to cut through the noise is to do the math. Calculate the cost of renting versus the cost of owning. Now calculate your return as a landlord vs the risk free rate of return (10-year bond yield) and see if the risk premium is high enough to warrant the risk and the hassle of owning. Based on my calculations, the answer is no for coastal city real estate, and yes for heartland real estate. AJ, always ready to help. I am a real estate broker who just happened to grow up in the Inner Sunset and Golden Gate Heights. If you want to connect, we can grab a coffee or beer on 9th avenue between irving/judah. We have had some success getting over the overbid hurdle. Not always but with some determination and willingness to put a premium out there, it can be done. Trying to buy a house in San Francisco for a few months with no luck. Always get overbid. Looking around the Sunnyside/Westwood park / Parkside area. Are there any neighborhoods you can suggest in the city or peninsula that would be good buys given the RE cycles? San Carlos seems to be getting expensive too which is the other option. Brisbane? Belmont? Tried to get the GG heights but it seems to have gotten so popular that its hard to get something around 1.5. I like the overall arc of the emotions involved and the personal connections you have to the subject in Tahoe and plans in Hawai’i. It gives the subject a lot of depth. Thanks for sharing your thoughtful position. I sold in the Austin market last year and felt near the peak. Most of the purchasers of homes in my area were investors looking to rent, but I’m not sure what they saw that I still can’t. The rents didn’t support the purchase prices and prices have since begun to fall. I’m looking forward to opportunities should a coastal slump initiate in the next few years. What did you end up renting or buying in its place? Is Austin really topping out? Because from a relative standpoint, Austin is still so cheap compared to coastal city real estate. So perhaps all the investors are coming from out of town? Can you share some numbers on purchase price and selling price and how long you held it? I moved north of Seattle to live in mountains. I bought a place with a lot of expansion potential and relatively flat land. I may have bought close to a peak, but the local signs still point upward and I’m in it for the long haul. I built a new place in the NW Austin area for around $200,000 and sold at around $280,000 after eight years. The purchasing investor is betting on rising rents and property appreciation to bail out a good stretch of negative cashflow. I’m not a real estate pro by any stretch and there are parts of the Austin suburbs that are still rising in value. My parents are selling near $450,000 after holding about 12 years at at 36% gain. They have a unique property in a neighborhood with larger lot sizes (1/2 acre+) of a suburban area known for having the best schools. There’s still significant downward pressure on areas that have been built out more recently around the city. There is so much construction that you can often buy a new build 10 minutes farther away for a little less or no more. The sprawl over the last 25 years is staggering. The city core is still experiencing upward price pressure and a few newer developing areas like Mueller (old Air Force base in town turned neighborhood) are exploding for similar reasons — namely exclusivity — to my parent’s place. A lot of the upward price pressure has been folks moving to the area from coastal locales and many large companies competing for local tech talent by paying higher and higher salaries locally. There’s still far more opportunity to spread out that in any coastal location and the people sticking around generally want affordable space more than they want a view or a specific location. That’s the draw of a place like Austin. Hey Sam. Loved the end paragraph cause yeah, at the end of it all, what are we really doing this for? Anyway, I just wanted to chime in and mention that if you are buying as a long-term rental, serious corrections seem to mean little. If you have budgeted a small monthly cash flow from a unit, or even just break even, the renters will be covering all of your mortgage and other costs. True, your net worth figure will decline on paper, but if the overall value of the property decreases at a faster rate than the rent, your rate of return calculated by a new prospective investor will actually look better. None of that really matters because you still paid what you paid for it, but in the end, you should be able to hold for 5, 10, or 15yrs until the mortgage is paid off by the renters and walk away with a bucket of cash or leverage that up into another deal. Could your down payment had done better somewhere else? Probably, but so long as the downturn doesn’t create massive vacancies, it should be fine. And you might even still have a good deal of depreciation to use come tax time. So yeah, buy, rent, and hold long term. That’s our simple strategy. But again, your wisdom far outweighs us mere mortals so feel free to slice through this logic as well. Great article! We have been house hunting here in Seattle for the past 2 years, and the market just seems out of control. In the city, most homes have 20+ offers, and in the in the suburbs, homes that sold in 2015 for 500k are going for 900k. It feels like a bubble and we decided to keep renting and hopefully take advantage of the dip as you describe it. My question is how do you view high influx of foreign cash buyers in places like Seattle, SF and the coastal cities? It was touched upon briefly in the comments above regarding NYC investmen, but are these foreign cash investments as cyclical as the typical real estate cycle, or are we going to continue to see this trend? I am thinking about selling a single family home in SCAL (which is being rented out) this summer to purchase a duplex or triplex. I am thinking about selling a single family home in SCAL (which is being rented out) this summer to purchase a duplex or triplex. Due to 1031 exchange, I will have to purchase something by Jan or Feb 2019, all depending on the timing of the sell. If I am able to sell this summer, I will be very lucky to sell it at its peak, but it also puts me at buying during the peak as well. Should I continue with the plan? The current home is less than 900 sq ft & is valued at $500-$550K which I think is the max. I currently owe $222k but after 1031 exchange, will acquire $450K in debt. Samurai- The 2008-2011 pull back was 27% as shown on the graph, that was with poor underwriting guidelines and massive fraud :) We are up nearly 80% since that time, if and when there is another pull back period, do you think we will see a drop of nearly the same 27%? Despite our underwriting guidelines being arguably much better then there were in the past? 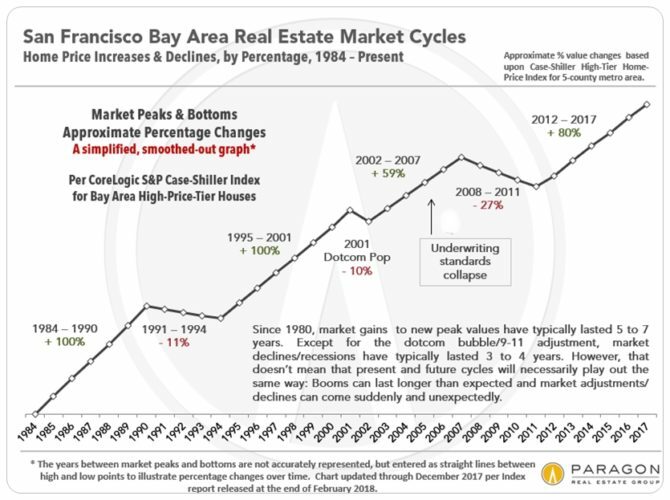 What wouldn’t surprise you from a pullback perspective in San Francisco when we have a period of correction. Great job on the blog. Anyone else please chime with your opinions. I know exactly what you described. I read many article but yours really sinks in. It really brought back what we went thru. We bough a home in Irvine at peak (of course we did not know that was the peak) in 2005 for $710K only to see the neighbors next door bought theirs (which is much bigger) for 599K in 2007 thru probate. The market was so bad that we were able to file a re-assessment request to the County to have our property lowered. The only comfort we had was that my job with the City of LA was pretty secured. Otherwise I would have had the fear of being laid off too, and I truly understand the fear. I am thinking about buying a home to retire (and also for investment) and I am waiting for the market to go down. Hope it will happen around 2021. I’m particularly interested in buying rental property in Vegas. 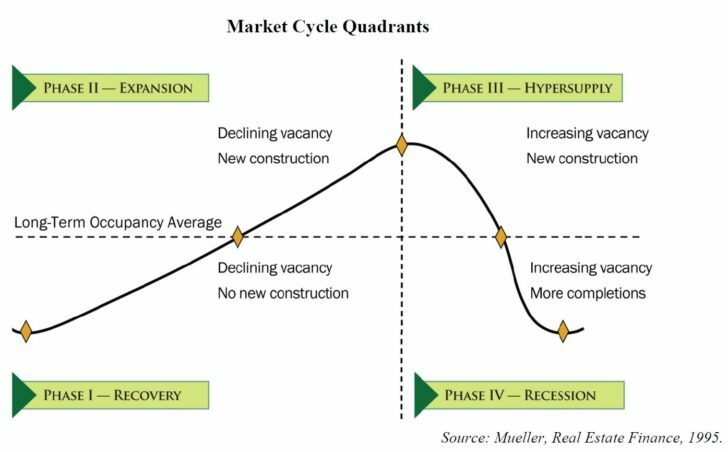 The Housing Cycle: Market by Market graph show Vegas to be roughly in the middle of Phase 2. Any thoughts on the timeline for when it would reach Maturing Exuberance? <3 years? 3-5 years? 5-7 years? When do you predict will be a good time to start buying again in the LA market? I’m a local San Francisco resident living with parents. I recently bought a house in North Natomas Sacramento for $400K range. How do you feel about the potential growth of Sacramento real estate (North Natomas, Elk Grove, Roseville)? I think bay area market more or less will push the Sacramento market. Those who couldn’t afford to live in the bay are moving north for a better life style, bigger houses, and cheaper living expense. 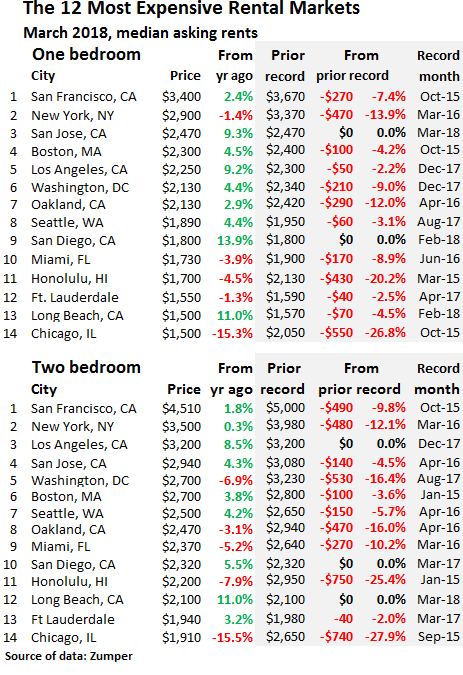 Is there a way to show the inflation adjusted or “real” changes in the prices of property? So based on these projections, when would be a good time to buy in Minneapolis? Am I interpreting it correctly and looking at like three years from now? Your observations are insightful. I am selling my house in Atlanta and relocating to Dallas and worried I will be in a hotter market. Now I am confused whether I should buy or rent and preserve cash from the sell in Atlanta. Any advice? Much appreciated. Thanks! Sam, I really appreciate such a clear breakdown of the situation in this article. 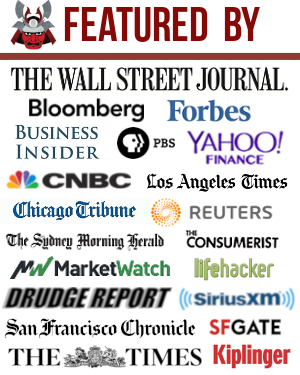 I wanted to get your opinion on my particular situation as you seem to know California markets pretty well. I’m relocating with wife and toddler to LA for a dream job with a company I’ve been trying to break into for a while. We have $260k in savings/equity from our previous home in Denver (we bought for $193k then sold for over $400k several years later, amazing timing to say the least). We’re looking at a house in the San Fernando Valley (Woodland Hills specifically) for $730k. We’d be putting $150k down. With both of us working, we’d be putting roughly 40% of our income into the mortgage each month. The house is four bedrooms and would easily accommodate us for all our remaining phases of life (one more kid through retirement). It’s mid-century modern and is beautiful. With ample savings in reserve, and having the perspective of holding the house long-term, we *think* we feel that this is a smart decision. But we’ve had the sense of “Jeeze, we’re really buying at a market peak” and feel that a reset is looming on the horizon. Are we crazy to buy this house? There’s really not an option to get a home for much less in this area, at least one with decent schools in a safe area. This is the article I needed to see today. I found FS about a month ago when doing research for buying a home here in San Diego, CA. Homes in the $600k range are selling like hot cakes, but homes in the mid $800k’s+ have been sitting on the market for a long time. I agree with most of your research you have put in previous blog posts for coastal cities, but also was feeling a serious case of FOMO. The FOMO comes from the thinking in my head that I want to set up my family for success and especially my kids by buying a house in a particularly good school district and that I feel like prices in Cali (SD in my case) are just going to continue to go up and up. Anyways this brings me to what I am currently going through. After reading all your previous blogs on this subject, I was going to take a risk on buying a new home in the 900K range. I knew I could take the risk of a down turn because this house was my dream home and the one I probably would retire in. I’ve been trying to work with the builder to sell it to me for below what the other builds sold for because this particular unit has sat on the market for 140 days. Last week, they finally decided to sell it to me, I told them I needed a week to get things in order before I could come in and sign the paperwork. This morning I woke up to a phone call from my real estate agent telling me that the house sold to another buyer. Anyways perhaps this is a blessing in disguise. Hopefully what you have projected comes true. (I hope in my case sooner rather than later ;p). My one question to you though is even with what you noted above, how do you account for the all the news we are hearing about lack of supply and affordable housing? You always hear the pundits say that credit is strong, lending practices are stronger than pre 08, and supply is short in these coastal CA cities? I think DC is a little more mature on the curve than the graphic gives it credit for. DC had the worst returns last year of any of the top 20 metro regions (about 2% y-o-y) and has seen rental prices drop. A great way to value homes is as a business. What is the cashflow you can generate from rent? In DC, rents overall are close to what they were 5 years ago and rental vacancies are up 20% y-o-y. So why the major appreciation on the underlying asset? I blame cheaper financing and greater leverage. I think 2016 with it’s 3.5% mortgage rates and 3.5% downpayment for the average first time home buyer will be seen as the peak here. Thanks for your input. I view DC in a similar bucket with SF, NYC, Seattle, SD, LA, and Miami. Rents are coming down, and property prices should follow suit. Denver has been on fire! If you don’t feel anxiety behind buying now, then there is probably something wrong with you. Less than 10% of your gross income is great. Just ask yourself if you’ll be OK losing 20% of its value, or $100,000 within 5 years. If you are, and plan to stay in the house for a while, then it doesn’t really matter. Fascinating article, I have additional data points for Denver. First, my rent is only going up $50 this month on renewal of my 12 month lease, from $1150 to $1200. Second, speaking with an agent last month at a new development she said that all the heat is in entry level $350 to $400k market. Get north of $500 and it’s already looking soft. I’ve already zero’d out my debits and am making short term investments while I wait to see what the market does for another year before I make a move. I decided to listen to the audio version this time. With that ending, I’m glad I did. I wish you would push the audio version more, both through your writing and through your UI. But I understand it’s still in a somewhat experimental stage. 1) It’s gone up a lot so it’s going to keep going up. 2) It’s going to go down but I can be the smart guy who sells before everyone else realizes. Both very dangerous games to play. Ends up with a lot of people doing mental gymnastics to backwards rationalize a lack of research/patience into getting screwed by the market, not caring about losses, etc. Of course, as you said, some people also know the risk and take it willingly. There is upside too, after all. Thanks for listening. The podcast is really for me to practice oral communication and let my boy have a library of audio clips for him to listen to if I were to pass prematurely. If readers find enjoyment in the audio version, they can always find it on iTunes or sometimes at the end of each post. I’m constrained due to time. Regarding comparing real estate to cryptos, at least real estate has an income stream that creates an embedded value. It’s just problematic when people are paying record prices while that income stream is declining. Buyers beware! We sold our Long Island condo at the height of the previous housing boom in 2006. Turned a $7,000 down payment in 1998 into a $250,000 profit in 2006. And then the economy tanked in 2008. But not before Mrs. G and I bought our Charlotte, NC, home for $225K. It’s on the market now for $250K. As long as we get at least $240K, we’ll get our exactly what we paid for it (damn those realtor fees and closing costs!). Yes, the real estate market is a fickle beast. Thanks for sharing your wisdom, Sam. Peace. Win some, you lose some I guess! What’s the reason for selling? Indeed. Think how much the house you one day aspire to move up to has appreciated. And how much the houses that your children will eventually buy have appreciated. Think how easy it will be for your children to achieve financial independence once half of their income has to go towards housing. Housing price inflation is so great that we should wish for it in other areas, more expensive cars, computers, more expensive energy, insurance, food, medicine. We bought our first house together at the peak of the 2007 cycle. We could’ve kept renting, but had a good relocation package with our company so we bought. When they transferred us 5 yrs later it sold for 15% less (~$33k) than what we paid for it, and that wasn’t including the $20k of improvements we put into it. Fortunately, the company reimbursed us within 90% of our purchase price, but it was still a loss. Now we’re moving for a job again, and we will be buying this summer. Our current house may sell for more than we paid for it, but again, we have put a lot into it over the last 5 years. No way we’re getting any of that value back. That’s fine, because we got to enjy those improvements while we lived there. I also don’t look at our residence as a great investment so it doesn’t pain me that we haven’t made money on one yet. C’est la vie. At least with this next place we will most likely just buy it outright or have a very low mortgage on it. That’s great your company hooked you up. I was thinking of taking an offer in NyC for a hefty raise in 2011, but I decided the move wasn’t for me and I didn’t want to sell my house. But in retrospect, it might have been a good idea to rent out the house and see what NYC was like again as a senior exec. Do you think it always makes sense to take out a mortgage? If you pay all cash at least you don’t need to worry about foreclosure during the next downturn. It doesn’t make sense to always take out a mortgage. The mortgage is taken because we want to buy something we can’t really afford. But it also has to do with the limited supply of funds and the desire to diversify by investing in equities and other investments as well. If one is wealthy enough to buy a house with cash and then by other investments without leverage, more power to them! I plan to be in the state in around the year 2023. I’m currently saving money to buy that Hawaiian dream house. It’s a fun talking to her. I live and have invested in real estate here in Hawaii. If I read correctly, you’re trying to buy a high end home on a dip and locate out here by 2023? So you’d be expecting this dip to come somewhere in and around 2020-2023? I was thinking about trading in one or two of my small condo rentals by 2020 to upgrade to a high end fixer upper home investment property. It clearly seems like the high end has been fading for a long time now (3-4 years), at least in Kahala, Honolulu. I will buy when I think prices have bottomed or there is a catalyst in site. Or, I will try to get a deal within 5 years before my son goes to kindergarten. If you have the cash but still decide to take a mortgage (e.g. To diversify or to soften the blow of financial repression through artificially mandated low interest rates(*)) then the impact of the next recession will be small. You can still use the saved cash to pay your mortgage once the recession hits. In addition you also have the extra option of walking away and sticking the bank with some of the loss, if the downturn is severe. (*) Why accept the financial repression of suppressed monopoly interest rates through government fiat, which essentially suppress your returns on safe investments to below inflation, in order to indirectly redistribute it to borrowers? Take out a loan too and balance things out for yourself! We bought our 3 BR Northern Virginia townhouse in late 2005 for $510k. Lived in it for 4 years, watched the value plummet, and rented it out from late 2009 to late 2011 while we lived in NYC. Moved back in for a few years, then bought our current 5 BR single family home a few miles away in summer 2015. We tried listing it in August for $540k (comps had gone as high as $550k that spring, but the units were nicer inside). Put down new flooring and paint. No luck. We cut the price several times (I think down to $515k), but it sat on the market for 5 months. The local market had a glut of similar units in horrible shaped listed way too high that were hurting everything. Finally decided to put renters in it Jan of 2016, who rented for 13 months. Relisted in early March 2017 for $530k, and had multiple offers in the first 3 days. We did put in about $2k worth of landscaping. Went with the strongest offer (full list) and closed a month later. I negotiated a 1% listing to my seller’s agent, and 2.5% to the buyer’s. I learned just how seasonal real estate is (at least in our region), and how much your home’s value can be affected by comps. I don’t think the agent matters terribly, although there are certainly bad ones out there. We used the same agent both times. I’m impressed you were able to negotiate the selling agent fee down to only 1%! Well done there! Can you sure the starting commission fee. And how you did it? Do you think you’re a five bedroom house has appreciated in value? Where in Virginia was your townhouse? Ours was in McLean, northern virginia. As I understand, many brokers will ask for the traditional 6%, which is split 50/50. I think a more reasonable starting fee structure in a high cost area is 5%, again split 50/50 between buyer’s and seller’s agents. That said, I have seen plenty of “discount brokers” advertising 4.5% listings. I’m not sure how they split, but I’m betting either 2.25% to both sides, or maybe the listing agent only takes 2%. In our case, Redfin had made an aggressive move on the DC area, offering 1% listings. I took that info to an acquaintance who I knew was a realtor at a full service broker (Long & Foster), and asked her if she was interested in matching it, which she did. She asked me what I wanted her to offer to buyer’s agents, and I told her to go with 2.5%. I probably could have gone with 2% and still sold the house, but didn’t want to get greedy. My experience is that realtors love getting listings, because they can just throw a lockbox on the door and let the buyer’s agents do a lot of the work. They also get to throw their sign in the yard and get the free advertising that comes with it. I let our agent put up a “coming soon” sign a full 30 days before the house hit the market. My primary regret was letting the house sit on the market so long in fall of 2015 (5 months). I should have moved more quickly to get renters in, since sitting empty kills cash flow. If you’re ever looking for an idea for an article (and haven’t done this already), I think you could do something cool on online real estate sites. The history of Redfin, Trulia, and Zillow is fascinating, and reads like something out of a book or movie (think “The Social Network), complete with massive IP theft and betrayal. The business models have changed so much, and the realtors really do seem to have won the battle against tech disruption. Our townhouse was in Vienna (just west of McLean), as is the current single family home. We paid $840k for that, which I think was priced pretty perfectly. It has the largest floorplan, basement, and garage of any house in the development (4,600 sq ft, including the basement. 2.5 car garage with double-high ceilings). It has a large, flat lot (2/3 of an acre), sits on elevated ground (no drainage issues), and backs to protected forest. The previous owner was an interior designer, and spent a cool $150k renovating it. Watching sales the past 3 years, unrenovated houses go for somewhere in the $700k’s, and renovated houses go for $850k-ish. In our case, we bought within 2 years of the renovation (everything is still new and shiny), and I really like the previous owner’s taste. So much of what I see is still being done with cherry cabinets and black granite… very 2005. I’m bullish on the whole Northern Virginia area, but especially anything close to Tyson’s Corner, which just continues to blow up. We’re a mile from the silver line metro. Great schools… We have a community pool about 1/8 mile away (easy walk). The big decision for us was whether to stay in the 1800 sq ft, 3 BR townhouse. We were really tempted, but I’m so glad we upsized. I love to entertain, and we now have the room to throw large (100+ people) parties. No more shared walls and listening to the neighbor’s piano practice. No more getting door dings from careless neighbors in the parking lot, worrying about hail ruining the car, or having to carry small children through the rain/ice/snow to & from the car. I have a place to do my own automotive maintenance. I’d like to say no more kids’ toys in the living room (we have one of the bedrooms set up as a playroom), but that would be a lie, because small children want to be close to mom & dad, which means they drag their toys into the living room where everyone else is. Our parents live far away (mine are in Seattle); we now have a dedicated guest room and bathroom that is on the same level as the living areas (no stairs for aging grandparents to deal with). We also have friends with kids that live in other metro areas and want to come visit; they no longer need to stay in hotels (we put the parents in the guest room, and the kids have 2 bedrooms to split). Both my wife and I agree upsizing was a great decision for us! Everyone should negotiate the listing commission fee to 1% in high priced areas (or 1.5% in others). The agents will cry and balk and you will get many excuses why they provide a better service than the next guy/gal. But it’s not brain surgery and many great realtors out there willing to negotiate with you. I live in SF bay area and have sold numerous homes for 1-1.5% listing fee and 2.5% to buyer’s agent. Especially in a hot market, you do 1-2 open houses and get multiple offers. The most experienced agents typically prefer to only list as they know this is much less work. I know this field very well, with many close friends in the business. It’s exactly as Reisen described above. Reisen, can you tell us more about the online real estate site battle you described? Would be interesting reading. The Association of Realtors have a monopoly as they control the MLS. If you look at the business model it is definitely a monopoly and they spend a great deal of money (lobby) to keep this monopoly going. I would love to see technology disrupt it. I have come to really LOVE Redfin (so much awesome data, user friendly, and accurate). It allows you to draw the boundaries of a neighborhood with your mouse, put in your parameters (size, price, etc), create a custom label name (‘My Hood’ for example), and when such a listing hits the market, you get an instant email notifying you “One new listing in My Hood”. So you don’t have to be searching all the time all over the place. My one agent friend admits to using Redfin to do her own house search even with her inside access to the MLS. The RE associations have their own online presence with Realtor.com, but is not nearly as good as Redfin in my opinion. Sam–Contact Redfin! Do a series of posts to educate your readers about the real estate sales process and how we can all be smarter consumers (and better negotiators). I hope companies like Redfin will challenge the industry and give us consumers more choice. I hate when an industry is controlled by one source and we are at their mercy. It feels un-American and anti-Capitalist! Perhaps it’s just a terminology issue but I find it unrealistic to talk about a housing oversupply in San Francisco. In The Bay Area there is only extreme undersupply which justifies a x10 house price premium over the rest of the country (or at least many market players think so), and not so extreme undersupply where prices drop to an 8x house price premium over the rest of the country. But there’s never an actual oversupply. Hey Sam, My wife and I just bought our primary residence in one of Silicon Valley’s nicer neighborhoods a couple months ago before the fed raised rates. We proceeded with purchasing even acknowledging this might be near the top of the market, since we see ourselves staying in SV for a long time and want to lock ourselves into in a neighborhood with great public schools for our daughter. We could rent, but who knows in the long run where prices will go, and I want the stability of staying in the same house instead of being at the mercy of a landlord raising rent or kicking us out. Our thinking has been – in a market meltdown scenario, equities (our down payment) would take a hit, and lending is likely to tighten up. We’re young and rely on lending to purchase our home – It seems like unless you’re a buyer with lots of cash, it might be hard to take advantage of price drops. Do you agree? One move we did make as a hedge – the house we bought is comfortable for the three of us at 1600sqft, but a bit of a fixer-upper, and on a lot zoned for a 3000sqft home. In the event of a meltdown we may be able to take advantage of out-of-work home builders to renovate and add back what value we lost during a correction. I really like how you have a hedge regarding expanding the property. Expansion really is what will make you money, given building costs are cheaper than selling prices. Worst case decline can’t be worsethan the previous crisis. In the previous crisis prime property was down no more than 25%. And if you plan to stay here long term, you’ll keep making money, keeping down your mortgage, and keep building wealth. 1) Extreme guilt for not being an honorable person. This, in combination with discovering FS and reading about how he kept paying on his underwater Tahoe property and how real estate values will get better even if it’s just due to inflation. 2) At the time I reasoned that it would take 3-4 years before rent provided positive cash flow. It’s been 4 years now and although rent has gone up it’ll be another two years before breakeven. The bright side is that the condo is in a great location so I never had any vacancies. 3) I didn’t want to have a foreclosure on my credit history because I want to have the option to take out loans in the future because I have entrepreneurial goals. Today, the condo is 50% underwater. Can you please explain why you didn’t go through a different financial institution to refinance your existing mortgage to a new loan with a lower rate and shorter term? I don’t understand why you would simply stop making payments. Did you lose your income? or all the equity in the property? And what would you know?! The value of the condo is now $66,000. Looks like I should have put that extra cash into the S&P and bought back the condo today in cash and still make a profit! To answer your question on why I stopped making payments on the mortgage: It seemed really unfair that I was held captive to the property since the bank would not allow a short sale. The condo was my first home purchase so I bought the place because I liked the location and it was perfect while living the single life; lived there for 6 years. I had no intention in it being a forever home and was too naïve to know that a housing bubble could exist. In addition, the bank denied a reduction in the interest rate from 6.25% to the rate at the time of 3.75% so I consulted a real estate attorney and he recommended not making payments since he noticed that banks only modified loan terms after there were missed payments. We purchased our 2 bedroom condo at the peak in 2007. The price is just back to that point recently. I just kept paying the mortgage. We averaged down by buying another condo in 2011. I think it will work out okay in the long run. I don’t think Portland is quite at SF or Seattle level yet. In the past, we usually lag behind about a year, but who knows. The market is different now. There are so many new buildings coming up. Affordability is a big issue too. Hopefully, I can sell before the real estate market drops. It’s okay for now, as long as the rent is coming in. As you may know Sam, I’m an avid reader of FS and follow your advice in many aspects of my financial life. You had posted once that 10% of your gross income for your house expense was ideal if you wanted to be independent sooner rather than later. I was able to do that in spite of buying at the top of 2008 -I way over paid but I like the place and fixed it all up the way I wanted it which was even more money. But here we are, the price has re-flated while I was busy working my day job and I suggest others do the same, focus on what you can do. We bought our home for approximately the same price that the previous residence paid for it 10 years earlier. The owners we bought from paid 2x times the owners they bought from 5 years earlier. The owners we bought from basically over paid, imho. Generally, I think we got a good deal. I still think this analysis is being done with broad strokes and that any real estate analysis needs to be more segmented. Multi-family is certainly hurting from over supply that will continue to hit the market (completions) through 2019, and will depress market rent growth over the next 5-10 years. Second-time move up and luxury single-family is certainly overextended as well. But the entry level product (think Inland Empire in Southern CA) has so much pent up demand…we are forming 1.3-1.6 million households a year for the last 5-10 years and have had starts around 1.0 million – 1.3 million. When you factor in existing homes being knocked down intentionally, going into obsolescence or being hit with a natural disaster (think Houston last year), there is clear pent up demand that we are probably going to have to hit 1.5-1.6 million starts for a 5 year period in order to meet. People delayed family formation / kids (you are a great example!) because of 1) changing lifestyles and 2) hangover/uncertainty from the recession. Now, birth rates are accelerating – and these buyers are looking to move out from urban multi-family into entry-level suburban product. So yes – bearish on multi-family everywhere, bearish on the top 40% of product (price wise) in each market, but incredibly bullish on the entry-level product, which is going to have to be primarily built by new construction. Look at the existing home sales releases – the detail of them, not the headline. 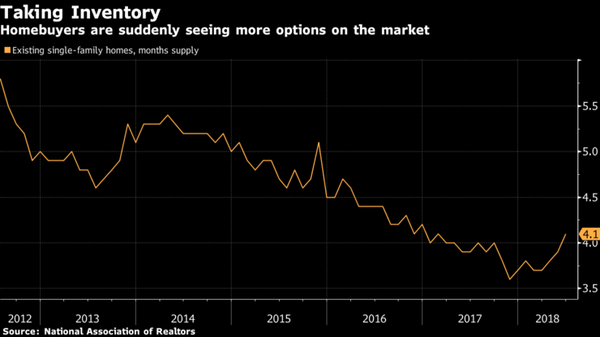 “Existing Home Sales up just 1% This month”….Yeah, but inventory was down 20%…that relative spread tells you that its not a demand problem, its a supply problem. Anyways – I also had another question for you Sam (just my own curiosity). Where you in M&A/ECM/DCM, Equity Research or Sales & Trading? I’m in research but starting to think about next steps. Sam, I read this post over the breakfast table for my husband and he turned pink and teary from the last two paragraphs! Of course, he believes that in 90 years everyone will be living underground. Covered the Earth’s surface with solar panels. Grow vertical gardens… anyway he’s crazy but even he was moved! It’s always nice to envision the future. Might make you rich and content one day! That’s the stark difference between America and Asia. Bankrupt and a new man again in 7 years in America. Over extend and reset. During the Asian Financial Crisis of 97 people flung themselves off buildings when they could not meet their mortgage(s) anymore rather than declare bankruptcy. Granted it was a lot more insane with individuals carrying anything from 10 to 30 mortgages (using the prior flat as collateral for the next acquisition creating a domino effect). Also probably due to face and pride to family and business relations. Oh,your ending was a bit sad. That’s LONG ways away. A LOT of other things unforseeable will happen before then. Thoughts on buying in this market for investment rental properties as opposed to a personal home? Not a good idea in expensive coastal cities where cap rates are under 3%. Thank you for the thoughtful analysis. Always enjoy reading your blog! Living in Seattle, I share the same view/concern on the topping of coastal housing market. With that said, in your last post, you mentioned that you deployed three quarters of your house sale proceeds into stock during the market turmoil in Q1. I am wondering why you did that if you foresee doomsday of the current economic cycle. Sure. First of all, with a seven out of 10 rating for the stock market outlook, I don’t think that is the definition of doomsday. If I had a one or two out of 10 rating, that would be more appropriate. But a doomsday could be pretty cool! Can you share the specific passages where you think I think that way? I need to work on my delivery because I thought I ended the post with a discussion how nothing really changes if you buy the top of the market. I reduced risk by $815,000 in 2017. So even if I reinvested 100% of the proceeds in the stock market, my risk exposure is still $815,000 less. How about you? How are you preparing for Armageddon. Maybe I am not reading closely enough but I don’t understand why $815,000. mortgage = risk explosure. I guess if you had low % equity and the market declined you could lose all your equity or even have a loss if you had to sell. I always think leverage lowers risk because you have less invested and smaller increases in MV are multiplied. Of course you have to be sure you have enough cash flow to make payments. I keep my interest rate as low as possible and the payments the lowest the credit union will let me, so I can always make sure I can make the payments. In my case, two small rental units within the house plus my small pension pull in enough to cover all my housing and living expenses. But I agree with your decision to sell the rental house. Way too much maintenance and hassle to manage property like that. You have plenty of real estate exposure. As for mistakes, I have been through your Tahoe scenario of emotions a couple of times and lived through it. I have also been invested in several of the biggest runs in residential real estate in my city. My worst real estate story is so scarring emotionally that I can’t describe it. But after 9 years of hanging on to a crappy condo, the market took off, and I was off to the races with $35,000. Sold the condo, built a new house, sold after 6 years, my equity was $165,000 and a rental suite had paid the mortgage payment for the 6 years. Coasted in another condo but on the west side of the city this time for 10 years, and then bought a big house even further west in a rising market. 13 years later house prices here have increased many fold and my equity is now in the millions. I should have done much better given my Urban Land Economics and Accounting background, but still my knowledge did help a lot in assessing markets. I don’t like living in condos and dealing with strata corporations, and have not done well financially with them. For liveability, duplexes and fourplexes are okay. That being said, due to affordability, condo prices have skyrocketed here too. Recreational property is also much riskier than residential real estate. Bare land is also not a good investment due to carrying costs and other factors. Building a house is not for the faint of heart. I have built 3 and renovated a couple. Cost overruns and costly delays are certainties and will empty all your contingency funds. Very stressful and I was in the commercial construction and construction financing industry so I know all the problems that are possible and inevitable and how to mitigate risk. Yes, I strongly advise buying a house in a good location, having mortgage helpers, not worrying about paying off mortgages (the only good leverage). I would not invest in real estate in a market that I was not very familiar with. Buy the best house you can afford in the best area you can afford (no capital gains tax on principal residence in Canada). Exception, if you can’t hang on for 10 years, you impulsively make drastic changes in your life, or you leave life to chance. How long do we have to wait to find out whether your predictions are correct? One predictor of falling prices I have noticed is the stock price of Home Depot, which has been falling since beginning of January 2018. What do you make of that? Sure. I can either have $2,740,000 (price house sold for) of exposure with no debt, or $2,740,000 in exposure with debt. I don’t believe leverage lowers risk unless one has the plan to welch on their debt contracts. Because I always plan to honor the contracts I sign, debt equals risk exposure to me. Interesting graph that shows Chicago in the “early recovery” stage. As a 2Y MBA student headed to investment banking in Chicago, I’m currently grappling on whether to rent or buy. Part of me really wants to put down roots for some stability for my kids. The other part realizes that it makes more financial sense to rent for a few more years to save up money in order to afford a better house. Decisions! I presume this is going to vary somewhat based on neighborhood. I am in the midst of plunking down for a townhome in River North which has averaged 2.5% appreciation since 04’. Doesn’t seem to be overheated, but new construction looks a bit more frothy..Sam would probably say the best time to buy is yesterday, unless the market is in the exuberance phase. Looking at the chart posted – it seems like we are at the end of a 10-year cycle and it should come down. Luckily I still have another year to wait to see what happens. Chances are I will need to wait in order to save up for higher downpayment and extra cash for the insane property taxes. You should probably wait to see 1) if you like your company, 2) if you like investment banking, 3) if you really want to stay in Chicago. So much opportunity right out of business school, and the Chicago market looks like it’s not going anywhere anytime soon with rents so weak. I like the second option, where even if you buy at the top of the market, life goes on as normal. As long as you’re holding real estate long term, you should be able to continue on without anxiety and know your asset value will increase in the next cycle. Great topic! You described the stages really well. Nobody wants to admit they bought at the top early on but as time goes by reality starts to sink in. Your plans to take your family up to the Tahoe property sound priceless. Love your descriptive imagery of the future! I would pick further out than that. It’s 2018, + two years for all market participants to understand that real estate is down + 3-4 years actually in the down market. My crystal ball says September 8, 2020! what do think of portland oregon? it seems a deal to me. any opinions? Being around DC, the intricacies of the real estate market get even more complicated because we have the worst traffic in America and how close your home is to our Metro system also adds an additional factor. For instance, my home never declines as much as the rest in the region when things go down because I’m within walking distance of a Metro station. But I’m a good 15 minute walk to the station – that matters too! For many Americans, even a 15 minute walk is too much (sadly). So a lot of folks here who bought at the “top of the market” or near it saw that their house barely went down much when things declined because they’re near a Metro. And driving in the DC area is so torturous that most would choose death by tiger-mauling over it. Being in the Bay Area, I still see prices moving higher (literally by the week) and most of the money coming from overseas. Do you see any real catalyst that will slow that $river? I’ve been keeping close tabs on the local market and it seems like folks’ irrationality is beyond my comprehension. Great article and especially love the charts! I hear yah man. Nuts! The only catalysts I see are people realizing rents have plateaued and that they can get a better deal by just renting. Eventually, the typical person cannot afford to buy the median $1.5-$1.6M home, but it’s hard to see prices go down by much when Airbnb and Uber IPOs are up next. It’s hard to tell when things will turn. I remember everybody buying property in 2006 as well with no regard for fundamentals. At the end of the day, it’s just money! No risk, no reward. I just donno how the renters in SF who want to buy a home are ever gonna buy. If I haven’t bought yet, I would decide to leave, especially if I wanted to start a family. Price appreciation and multiple bids are finally slowing down as I write (2nd week of May, 2018). My wife is a realtor and I work at corporate megaTech. Folks I know are having 2nd/3rd child and need to move up. Buyers can afford these homes at $1.2-$2M with their RSU’s and stock portfolios rich with AMZN, GOOGL, AAPL, NVDA, NFLX, FB, INTC… not to mention the foreign buyers. So I think that as long as these stocks keep steady (AAPL has Warren Buffet’s and its own $100B buyback support), the housing market will be hitting new highs. It only takes 2 bidders to move a house price up. It is impressive to see people win real estate bidding wars in this market when the stock market is showing signs of uncertainty. At the end of the day, it’s just money. If you lose it all, you can always work for years to get it back. Hahhahaha are you kidding me?! Time is the most valuable thing we’ve all got and being set back financially for the better part of a decade or more is a huge deal. I know people who still haven’t recovered to back where they were before financially from the when the Great Recession began years ago. They were in their late 20’s or early 30’s back then and now they’re in their late 30’s or early 40’s financially worse off their parents were at the same age by a large degree. Still stuck paying off school debt for the most part too though the end is in sight there for some of them. None of them, me included, ever expect to retire and all of them, me included, are expecting to be be unable to help their kids with their college costs, housing costs, or even their 1st car. And if you reply don’t even say word one about work harder or mention “bootstrapping”. We’re all either working 2nd jobs or the 1 job as hard as we can. A few are even working 3rd gig jobs to squeak on by. Our parents never had to do that just to squeak on by. Hell my dad was the only 1 working most of the time as a kid and we had a house too and could still afford to go out from time to time. Really you have to go back to the Great Depression Era to see a similar economic condition for your average working adult these days. Sam, what are your thoughts on areas like Boston, where there’s a huge concentration of top universities, strong R&D presence, and very low inventory of housing? How do these other factors affect what you described above? Thanks! Boston seems like an obvious next hot spot that could go bonkers. It’s amazing how much of a discount Boston trades to NYC, despite being relatively close and despite having the finance, R&D and academics presence. Boston winters are horrible, just like NYC’s winters so I’ve gotta believe the upside is there. That said, the last time I went to Boston was 25 years ago! Great thoughts and analysis as usual Sam! We bought our current house right at the peak in our area in early 2006 and I’m not convinced we have even gotten back to break even yet. Do I care? Not really. I need a place to live, the school district is fantastic, and I’m not planning on moving for at least another 10-20 years. I just keep paying the mortgage (which will be gone in a few years) and I don’t lose any sleep over it! Being on the outskirts of a high priced coastal area does it make sense to buy a house lot, sit on it for a few years, then build? I would love the answer to that too. TIA? Has anyone ever told you that your voice sounds just like former US Treasury Secretary Tim Geithner? Nope! Sounds like a smart and calm fella though. Let me check out his resume..
Wow, no wonder why we sound alike! I studied at Beijing Normal university as well, but in 1997. I also spent a year in Zambia when I was 1 and attended International schools in Asia for 13 years. President of Warburg Pincus is a pretty good job he has. I can’t tell you how I love your charts. I am currently following your advice after the sale of my residence, I’m sitting on the cash for at least 3 months maybe longer. I’m really glad I am. I know the feeling of buying at the top and you describe the emotional process perfectly. Thanks, I know you work hard to get the blog together and I really appreciate it. Thanks Nana, and congrats for selling your house! Hope you have a nice place to stay in its place. I like the smoothed-out graph that you posted – really shows the effect that time has on good investment property, assuming of course that one purchases at the correct price and has the cash flow to pay off the mortgage (big assumptions, I know). Curiously, I didn’t see NYC as a market in the smoothed-out graph. I assumed NYC was currently in the contraction/early downturn, but am curious as to your thoughts on it. They call NYC, Manhattan in the chart, which is probably more accurate given Manhattan real estate really is weaker than places like Queens. Many signs of oversupply here in Brooklyn. 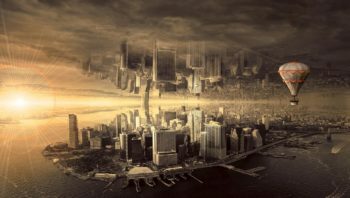 Dirty secret in NY real estate is it’s driven by international demand. Many properties are owned by people outside the country, some who will never visit them. Also, there’s negative net migration into the city among native-born Americans, the growth in population comes from immigration. Should our current Republicans federal government make people in Asia and Europe think immigrating to the US or buying a property in NYC right now is a lot like buying your Tahoe lakehouse in 2007 I think we’ll see a 20% correction take place soon. The usual scenario is over building, over supply. Out here on the West Coast that is not happening for a number of reasons and cited as why the market will continue to go up. Maybe the most alarming threatening all markets is the unprecedented debt of the government, the corporate world, and households. How long can the Fed keep it all going without a bigger and bigger bust that will affect all, including real estate?